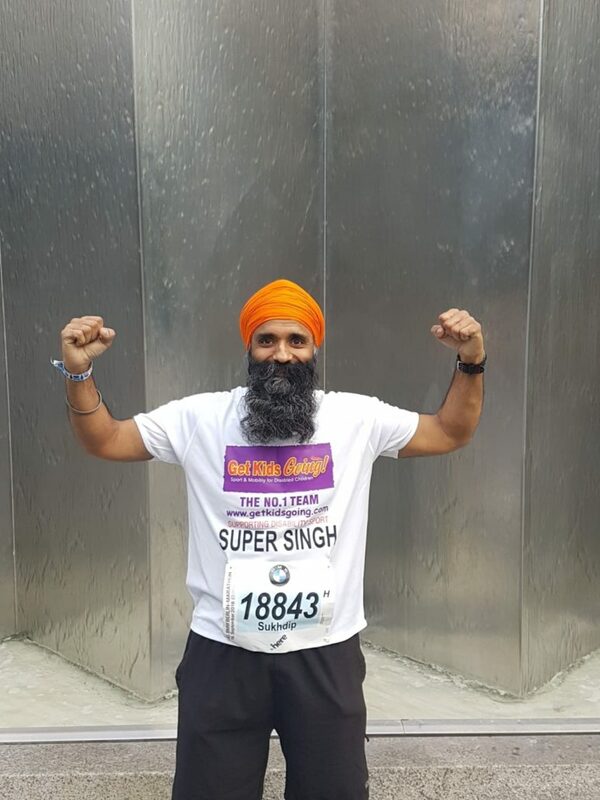 My name is Sukhdip Singh I am 51 years old from Kettering, I dedicate my spare time to marathon running, with my nickname “Super Singh” on my running shorts trying to raise awareness around the globe. Q. Tell us about yourself and profession? A. I have been employed in the steel industry for over 30 years as a production operative. In 2006 my wife and I were blessed by Guru Ji’s kirpa and took Amrit. Q. Your children’s ages and who they are? A. I have been blessed with two beautiful children Jaspreet Kaur 27yrs a Mid-Wife in the NHS and Parmjit Singh 25yrs a retail manager for Mercedes Benz. And then Fauja Singh the 100yrs plus runner. Since 2008 with Guru Ji’s blessing I have run 7 London Marathons, 1 in NewYork in 2017, 1 in Chicago in 2018. 1 in Berlin in 2018 and 1 in Birmingham in 2017. 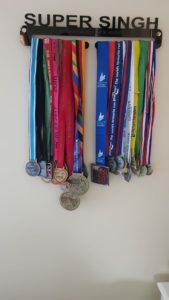 Plus over 20 Half Marathons including The Great North Run. Q. You are running the London Marathon for the 8th time in 2019, please tell us more? A. To live life truthfully, work honestly and treating person(s) with respect as you would expect to be treated. A. Work hard, be truthful and always thank Guru Ji and thus you will bear the fruits of your labour. Q. What would be your advice for anyone who is about to become a dad for the 1st time? A. 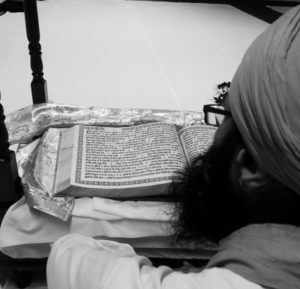 Believe in SIRI GURU GRANTH SAHIB JI, have faith, be content and always be humble. A. The biggest challenge has been being what you preach to your children you must act on yourself. Only then can they take your advice seriously to help them on their journey of life. A. In 2005 we used to take our children to Sikhi classes in Leicester on Friday nights by Bhai Kuljit Singh Ji. Around this time our children asked us as their parents “is it not time that we gave something back to Sikhi?” Their innocent thinking and love for Sikhi evoked the same love and fire in us and in 2006 we decided to take the Amrit with Guru Ji’s blessing. A. To see both my two children flourish into young adults working hard, truthfully and most importantly remembering guruji. 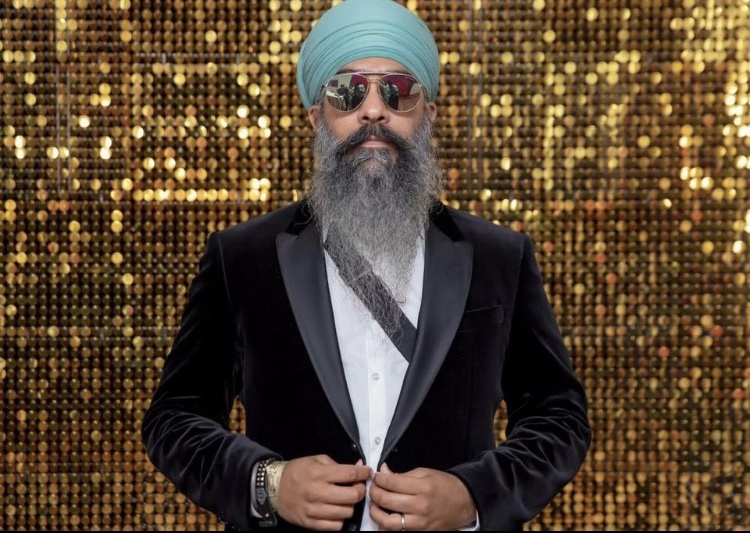 I have not had the pleasure of meeting Jaspreet and her father as yet, however, I was compelled to feature them this month after hearing about their relationship. She contacted me directly and I was immediately intrigued about their relationship, she referred to her father as her hero and inspiration after he used to work during the day and study for a degree at night school. 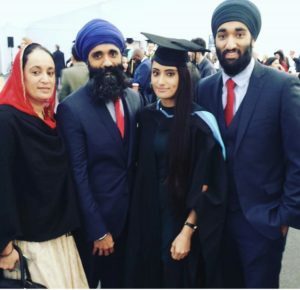 She said he has always been at the forefront of her life setting high standards, Jaspreet being a midwife herself wants others to see the importance of fathers on child well-being. Having now become a parent herself she has told me that she values, even more, the positive role that her father has played in her life to date. 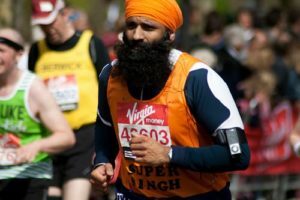 I have to also mention his amazing dedication to running, he has been inspired by Fauja Singh, who is an amazing ambassador for Sikhs all around the world, having been inspired himself, Sukhdip Singh is now, in turn, inspiring a new generation, I thank Jaspreet and her Dad for taking the time out for Sikh Dad. That, of course, concludes this journey of interviewing a different Dad each month for the whole of 2018, its been an amazing experience and I have received such amazing support and feedback, I would like to thank you all from the very bottom of my heart. All 12 interviews will remain on this site so that these timeless messages of experience can be referred to time and again. Until 2019 and the next venture I wish you all a very happy new year!